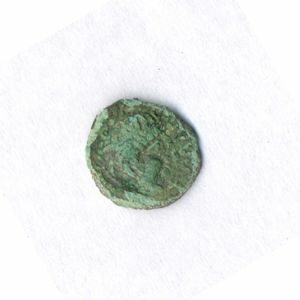 The excavations led to the recovery of 155 coins of definite, probable or possible Iron Age date, in comparison with 3,175 of Roman date. Of these, twenty-five were stratified (Table 54); the rest were recovered by metal detecting from unstratified deposits by either volunteer detectorists or ECC Field Archaeology Unit staff. The assemblage was examined after cleaning work (the extent of which was decided through discussion with the conservator) and analysis of X-rays. 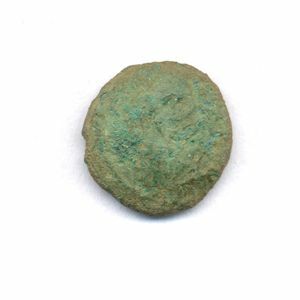 The vast majority of coins found were low value copper-alloy and potin (a tin-rich copper-alloy) coins, accounting for 92% of the total. 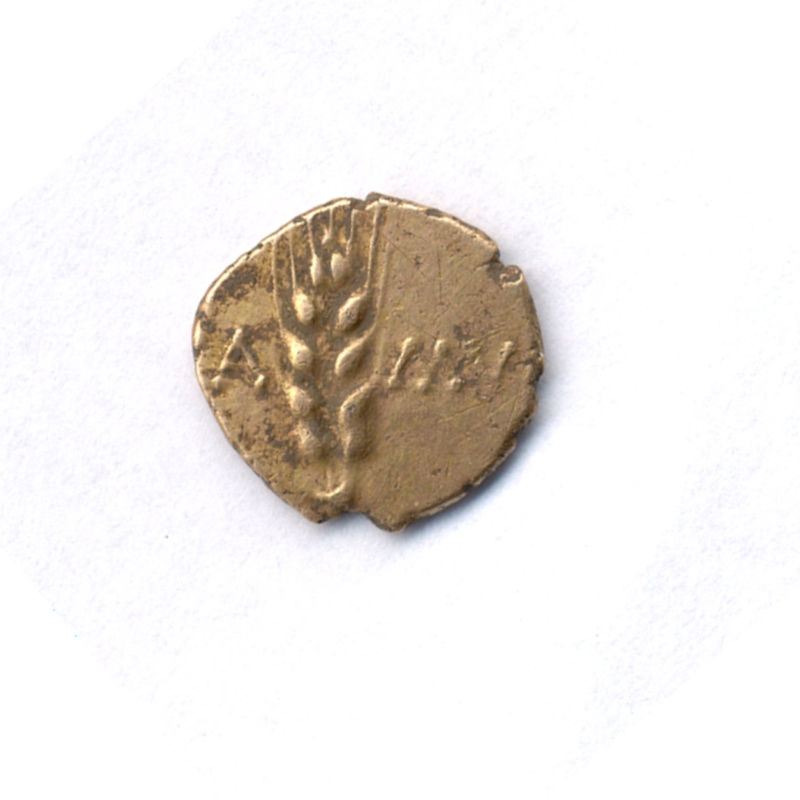 In addition, there were four gold coins and four plated, or probably plated, gold pieces and four silver coins (Table 51). This immediately suggests casual loss on a settlement site, as opposed to deliberate deposits such as a hoard or coins used for votive purposes, which tend to consist of a higher proportion of intrinsically valuable pieces. Most of the Iron Age coins were issued by Cunobelin (54% of the total), his predecessor, Tasciovanus (from whom Cunobelin claimed descent), and two lesser-known 'rulers', Dubovellaunus, and coins attributed to Addedomaros (the British LX pieces). All four named issuers have a coin distribution centred on Essex/Hertfordshire and north Kent with pieces also found in Oxfordshire, Northamptonshire and East Anglia (Cunliffe 1981). Dubnovellaunus' coins are commonly found both north of the Thames and in Kent, and opinions differ as to whether there were one or two individuals of that name. Fitzpatrick (1992, 26) believes they are one and the same. 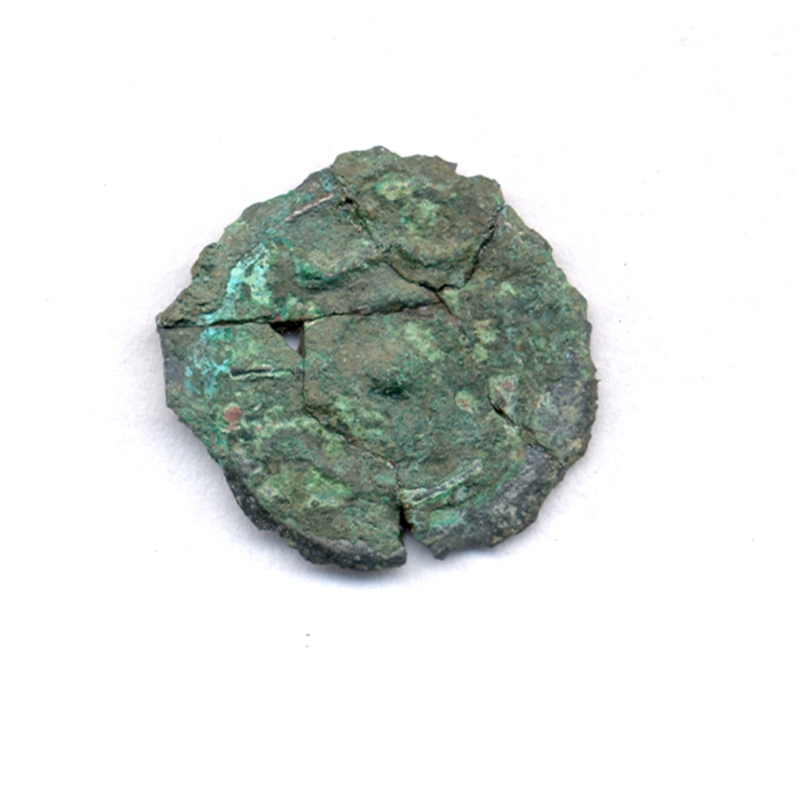 The coins in the Heybridge assemblage are typical of the North Thames 'Dubnovellanus'. Two mint names are present on the coins of Cunobelin and Tasciovanus: Verulamium (modern St Albans) and Camulodunum (modern Colchester). However, Verulamium is only known from one example (on No. 61; Tasciovanus, as 'VIR'), while Camulodumum, in the form of 'CAMVL[OBVNO]', 'CAMVL', 'CAMV' or 'CAML', or 'CAM', is far more common, appearing on seventy-one examples in the whole assemblage (e.g. Nos 63, 66, 80, 82, 96), and one additional coin (No. 147) may also qualify, if the legend is a version of the mint name (only the 'M' is legible). Colchester is therefore by far the most common named mint source of coins at Heybridge. 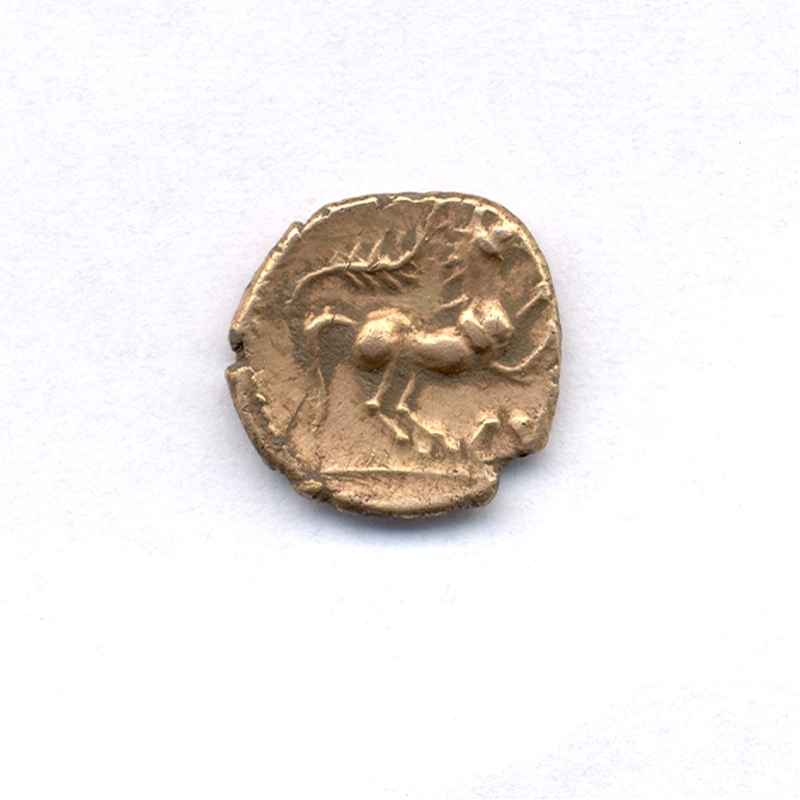 Most of these common types were probably minted in the decades running up to the Conquest (c. AD 10-45). Most significantly, the Cunobelin types represented at Heybridge are, with only one exception (No. 80, SF3573), of the 'CAM/CVN' variety, rather than those that refer to his 'father's' name 'TASCIOVANUS'. This is typical of the circulation pattern of Cunobelin's coins, most recently discussed by Creighton (2000, 172-3). Coins that refer to Tasciovanus are in the main found in the area around Verulamium, while the 'CAM/CVN' varieties are more often found on the Essex/Suffolk coastal areas and Kent (Creighton 2000, fig. 6.6). Creighton suggests that Cunobelin needed to stress his legitimacy for his issues produced at Verulamium, but did not need to for his 'home town' issues from Colchester, as it was around this area that his precedence was established and did not need to be legitimised. 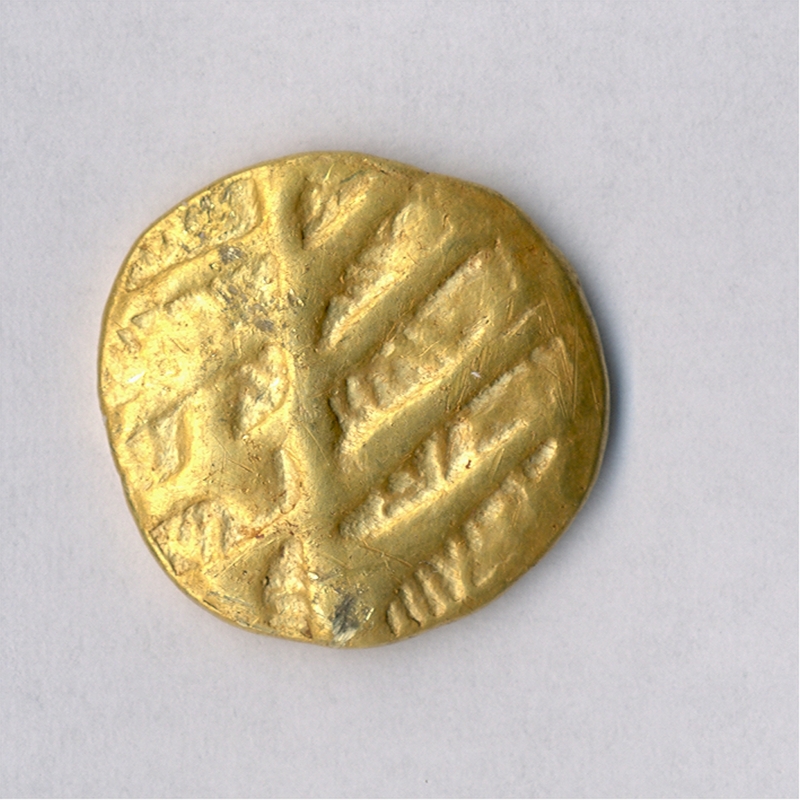 If this theory is accepted (and the distribution pattern of the material seems to favour this), this may demonstrate that in pre-conquest Iron Age Britain, rulers were more than aware of how to use coinage for propaganda purposes. Of the earlier coins, many fall into the amorphous category of British uninscribed (at least twenty-seven coins, or 17%, and probably a fair number of the eleven 'Uncertain British' pieces as well). These issues are characterised by retention of a 'Celtic' style prevalent on continental potin and bronze issues, with rather crude and highly stylised zoomorphic imagery (e.g. the two animals coiled around a wheel, Nos 19-21). 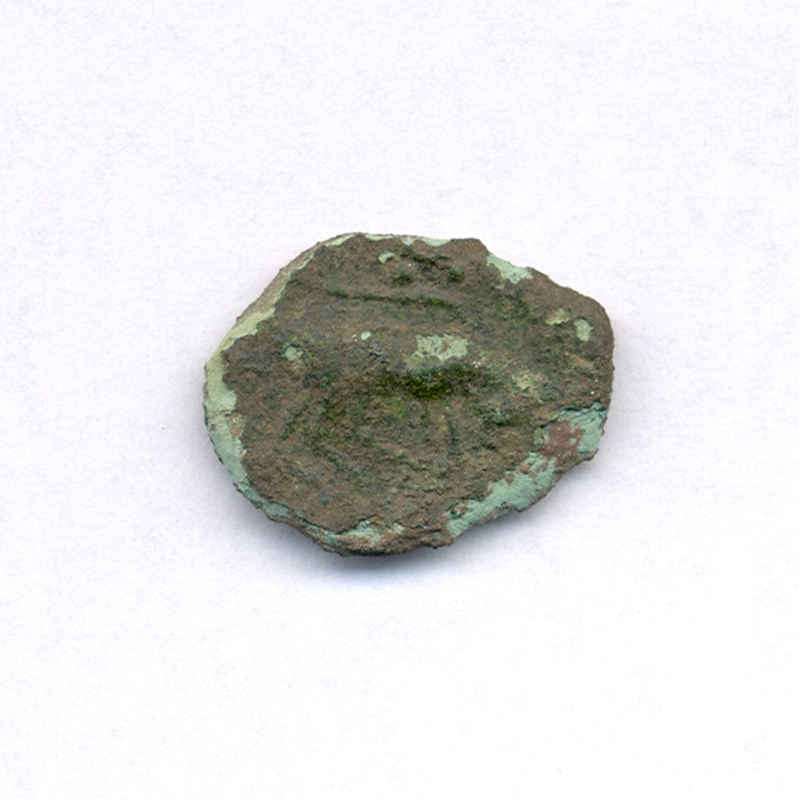 It seems likely that most of the early uninscribed struck bronze coinage was produced soon after the Gallic War (i.e. in the period c. 50-20 BC), but prior to the large-scale production of the inscribed types discussed above. The most up-to-date information on the distribution of these uninscribed types indicates that they fall into two categories; types common to Essex and types rare to the county (de Jersey, pers. comm.). Numbers 23-26 (BIAC 407) and Nos 33-38 (BIAC 2491) are relatively well known in Essex, so it appears that this is the area where these coins were probably produced and mostly circulated. The presence of ten coins at Heybridge for these two types is therefore not unexpected. Numbers 19-22 (BIAC 402) are of a type predominant in Essex and Suffolk, with both counties producing similar numbers. Number 29 (BIAC 2450) is a rare type for Essex, apart from Harlow Temple (Haselgrove 1989). Most examples of this type are from Hertfordshire, Northamptonshire, Buckinghamshire and Oxfordshire. Similarly for No. 30 (BIAC 2461), as most examples of this type come from Hertfordshire. And finally, Nos 31-32 (BIAC 2480) are also rare for Essex, with only one other example recorded for the county on the Celtic Coin Index (92.0525), from Harlow. Twenty-nine examples have been recorded in Kent, so it may be reasonably assumed that Kent is the origin of the type. Twelve potin coins were recorded. 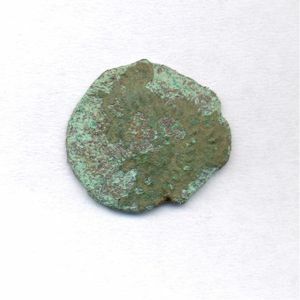 Potin coins (cast as opposed to struck coinage) were one of the first indigenous coinages to be produced in Britain and appear to have circulated in reasonable numbers, although the exact function of these pieces remains unclear (Haselgrove 1988a). Haselgrove has argued convincingly that the two modules of potin coin, the larger module Class I and the smaller module Class II, were produced in two distinct phases, Class I in the early 1st century BC (Phase 3), and Class II around 50-20 BC (Phase 6). The implications of this are discussed further below. 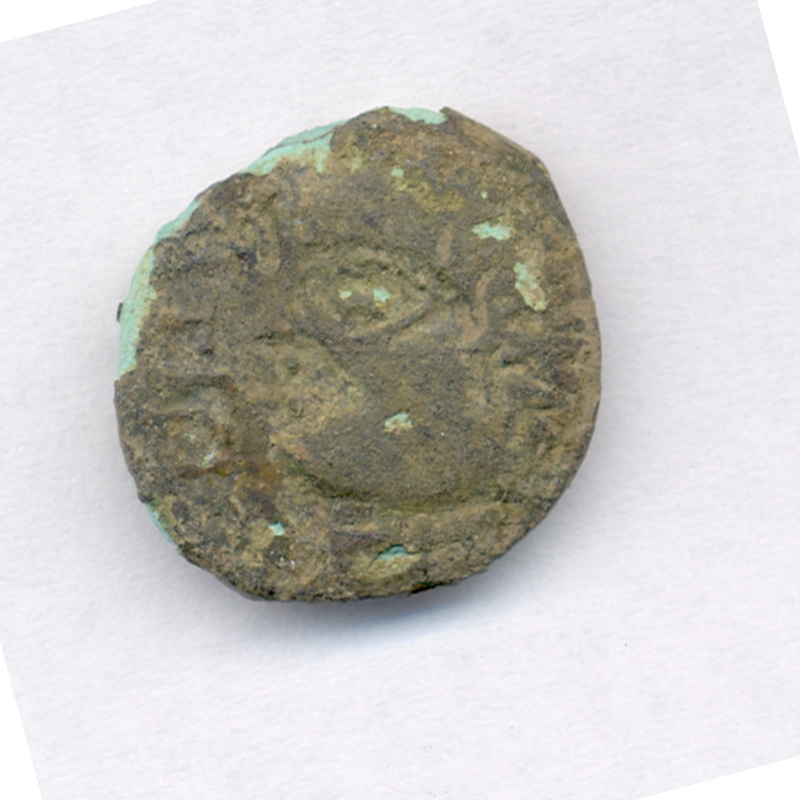 Heybridge also produced some Gallo-Belgic pieces, including a Gallo-Belgic B 'defaced' stater (No. 1), and two Gallo-Belgic E's (Nos 13-14). 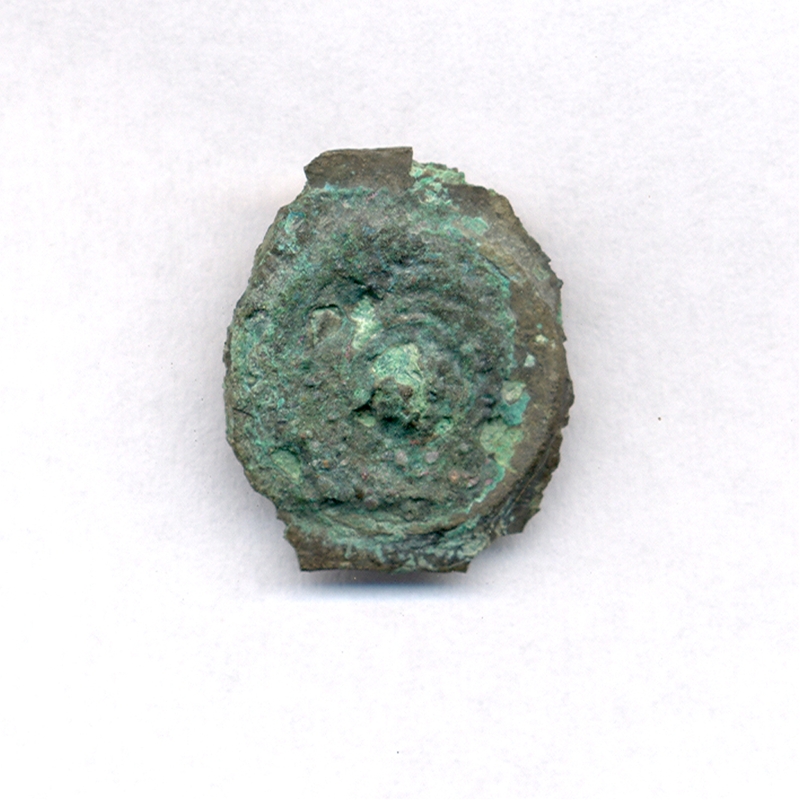 These are not uncommon finds for the British Isles, and evidence is mounting that both types were either wholly or partly minted here (Haselgrove 1999; Fitzpatrick 1992, 15). Of definite continental origin is a copper-alloy unit attributed to the Remi (No. 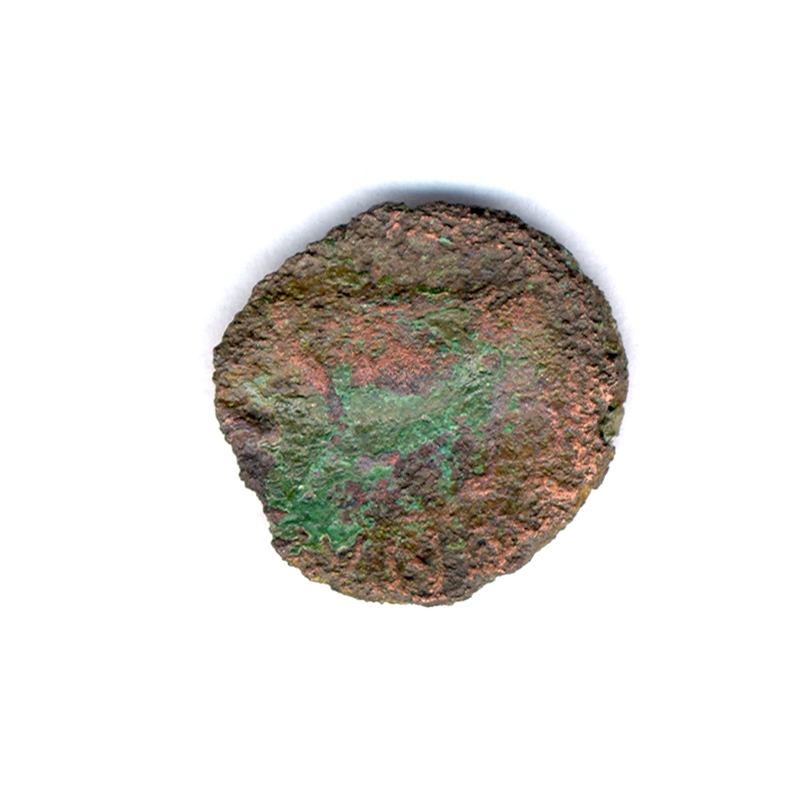 11, SF2220); examples are usually found in the Aisne and Marne Departements, although a single example is also known from Colchester (BMC III (Bronze): s561). As for the indigenous coinage, the following pieces are worthy of comment. Number 10 (SF7473) is a thin silver coin, and may represent a new type. 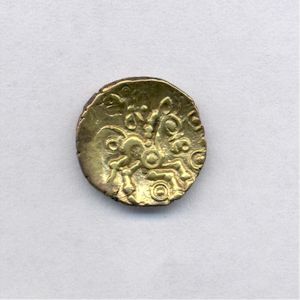 It has similarities with a metal-detector find made at Hatfield Broad Oak, Essex (CCI 90.0685). 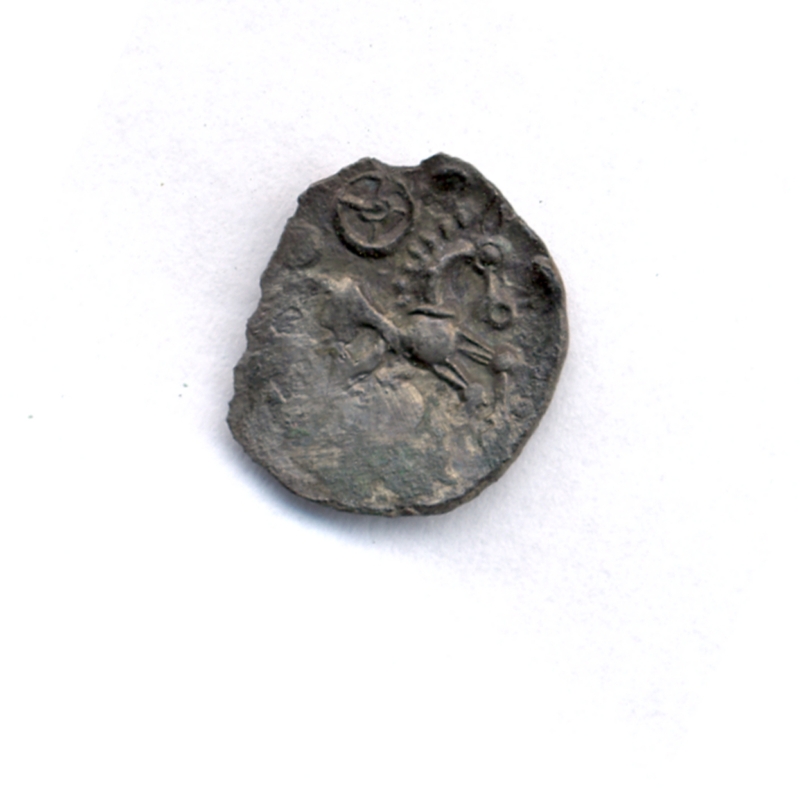 Although it has strong affinities with the so-called 'Hampshire Thin silver' series (Allen 1965), this can probably be considered a North Thames type unless the discovery and provenance of future finds suggest otherwise. Number 65 (SF4355) is a copper-alloy unit, which appears to have an illegible inscription before the bust on the obverse and an uncertain animal on the reverse. 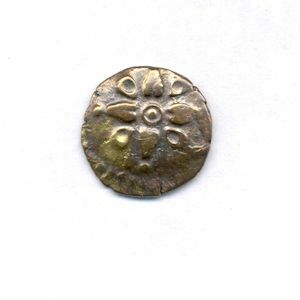 The Celtic Coin Index in Oxford does not have any recorded examples. Number 47 (SF2993) is a silver unit of common type originating in Norfolk, the tribal area of the Iceni. Hoard evidence indicates that these coins were produced in large numbers and circulated widely (e.g. Chadburn 1992), with Essex often producing the odd single find as is to be expected with a large issue. 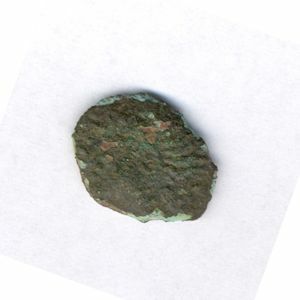 Number 63 (SF7857) is a copper-alloy type of Tasciovanus, not published in the standard catalogues, although four previous examples are known; from Essex (Great Canfield, Hatfield Broad Oak), Hertfordshire (Baldock) and Cambridgeshre (West Wickham), all recorded in the Celtic Coin Index. 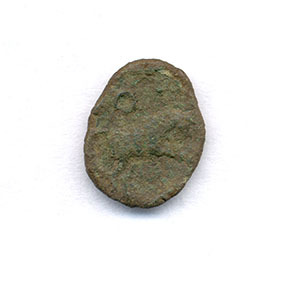 Numbers 97-102 (SF3002, 3798, 3870, 4330, 7754, 7823) are numismatically the most important Iron Age coins in the assemblage, as only one example has previously been recorded of this type (from Little Lather, Essex: CCI 96.3165). The best example here (No. 100, SF4330) has a right-facing bust on the obverse with the legend 'CAMVO'(?) before, and a bull butting right on the reverse with 'VI.' below an exergual line. This is quite a curious set of legends, because it appears to be the combination of two mint names common to this area, i.e. a blundered 'CAMVL' (Camulodunum), and 'VI' for Verulamium (which usually appears as 'VIR'). The above type bears strong similarities with another interesting coin (No. 73, SF9256), which is either a possible variant of a known type (BIAC 1902) or simply a clearer example of the type itself. 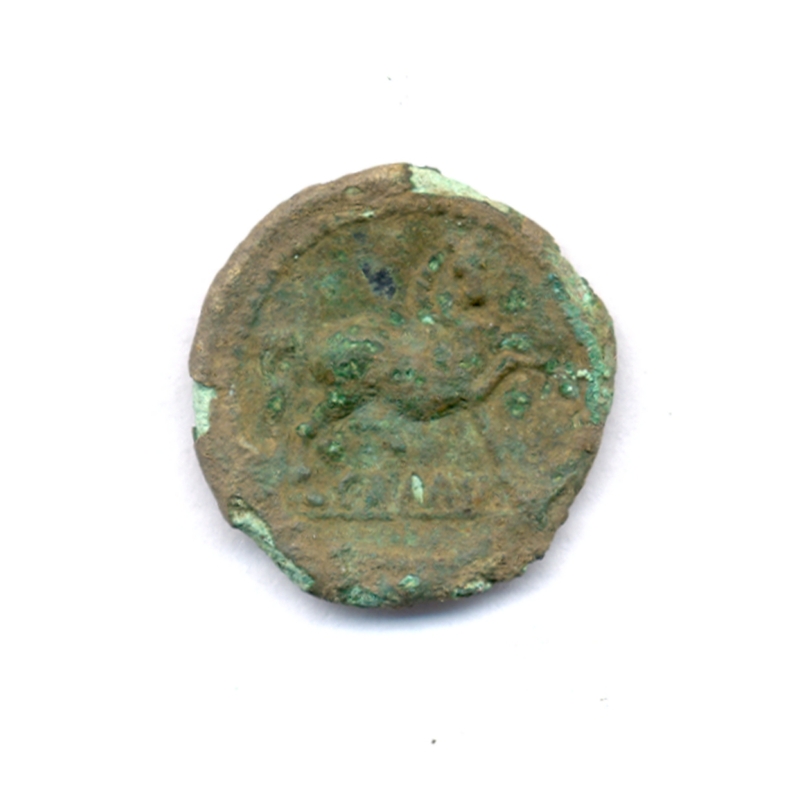 This coin also has a right-facing bust and the legend 'CAMVLO' before, and also a bull butting right but this time the more common 'CVN' letters below (cf. Cuddeford 2000). Finally, No. 57 (SF9264) is an important piece as it allows the legend on a known type to be extended to 'DVBNOVIII'. This adds weight to the accepted view that these coins can quite rightly be attributed to Dubnovellaunus. Assessment of wear is important to the understanding of Iron Age coin use at Heybridge. Heavily worn coins would imply that they were changing hands on a regular basis, which may in turn imply use for commercial transactions. Alternatively, if coins are generally in an unworn state, this would imply that they were not passing through a lot of hands, which could perhaps be interpreted as deliberate deposition rather than loss or discard after heavy use. Wear judgements are, however, rather subjective. It is fairly difficult to differentiate between circulation wear, die wear and the effects of corrosion and variable environmental conditions during burial. An example of this is No. 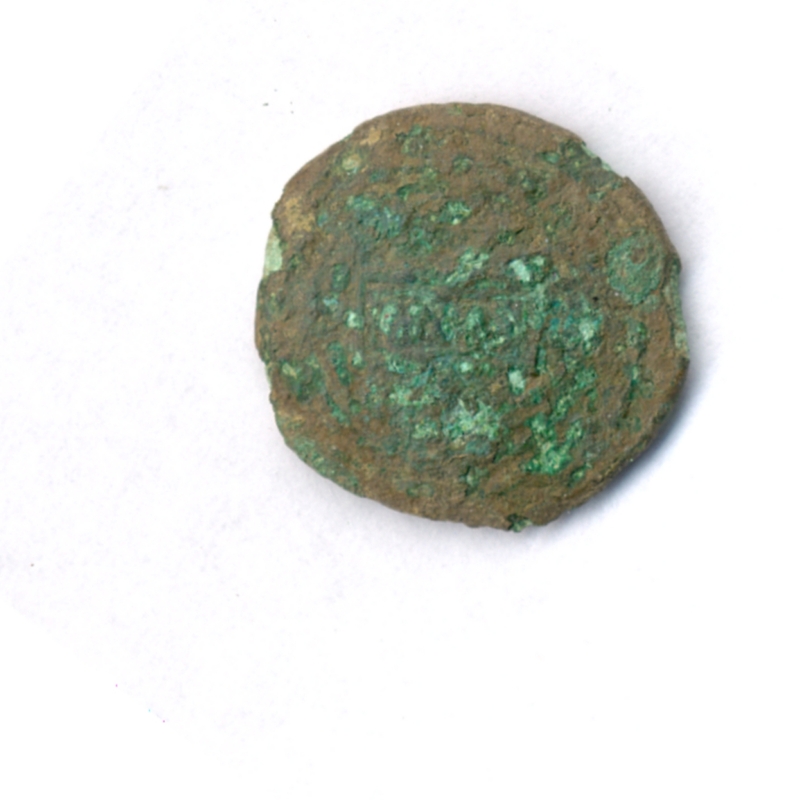 124 (SF7778), a bronze coin of Cunobelin. 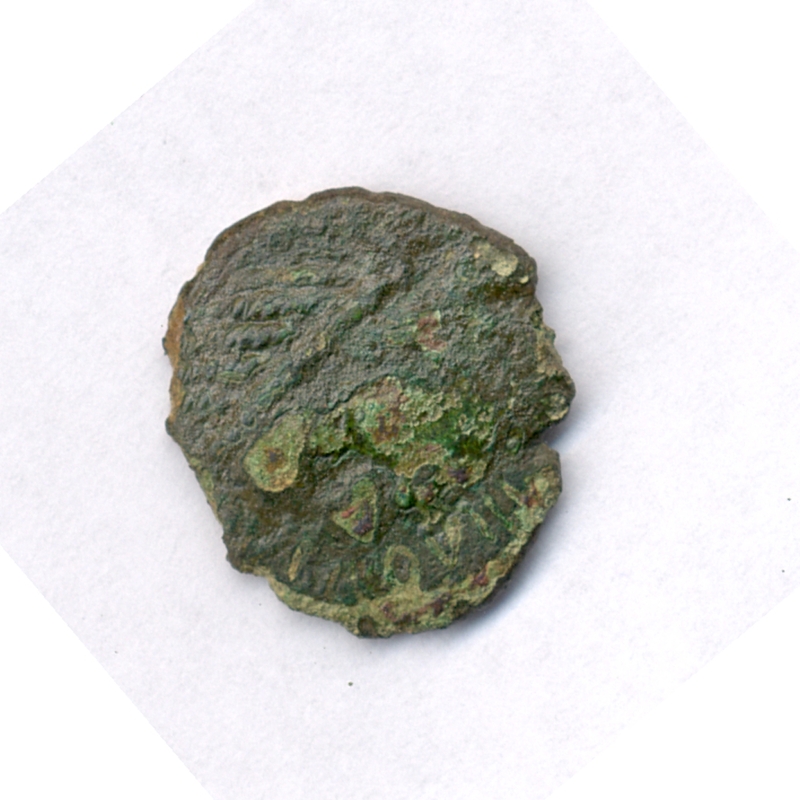 The obverse is completely illegible owing to a large quantity of corrosion products adhered to the surface. 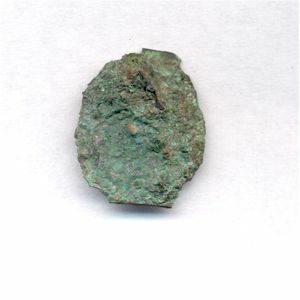 The edge of the reverse is also illegible as it is chipped and worn, but the centre of the coin is fairly well preserved, and, for a copper-alloy piece, the details of the design are relatively sharp. 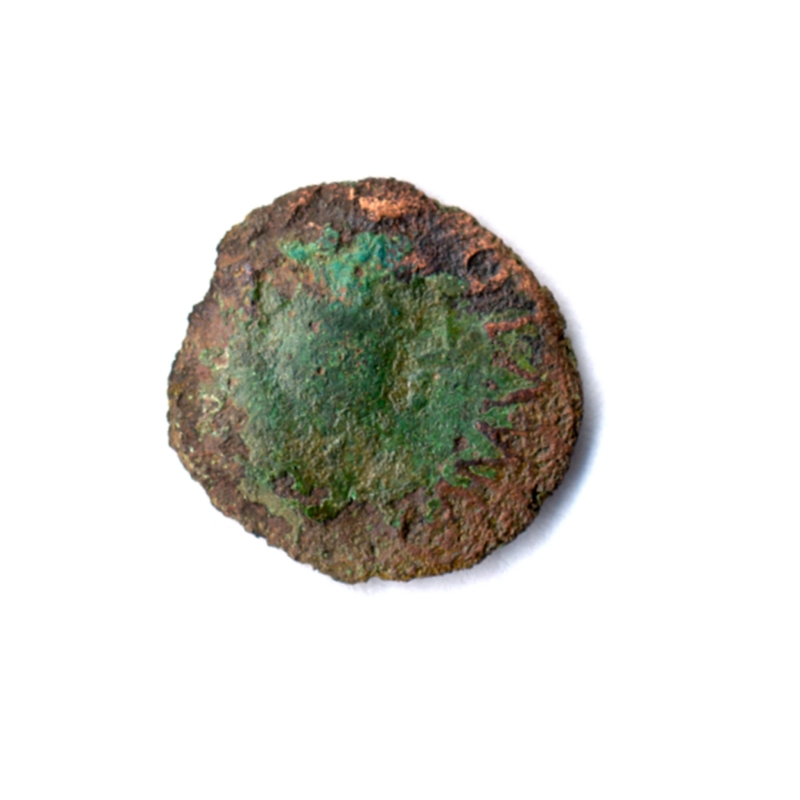 In this case the coin seems therefore to have suffered greatly from its burial conditions, but appears to have been relatively uncirculated at the time of loss. Analysis of the variation in the condition of coins of the same type has not proven to be very informative either. One of the largest groups, Nos 130-36 (BIAC 1991) was minted at the end of Cunobelin's reign (c. AD 30-45) and might be expected to be less worn than coins minted in the earlier phases, as they would have quickly gone out of use after the conquest. One of the pieces, No. 132 (SF5019), is probably the best preserved copper-alloy coin in the whole assemblage, with a deep green patina and an appearance not unlike a 'mint' condition. However, No. 135 (SF6728) of exactly the same type is extremely worn and appears to have been well circulated. The condition of the other coins in this group varies between these two extremes. 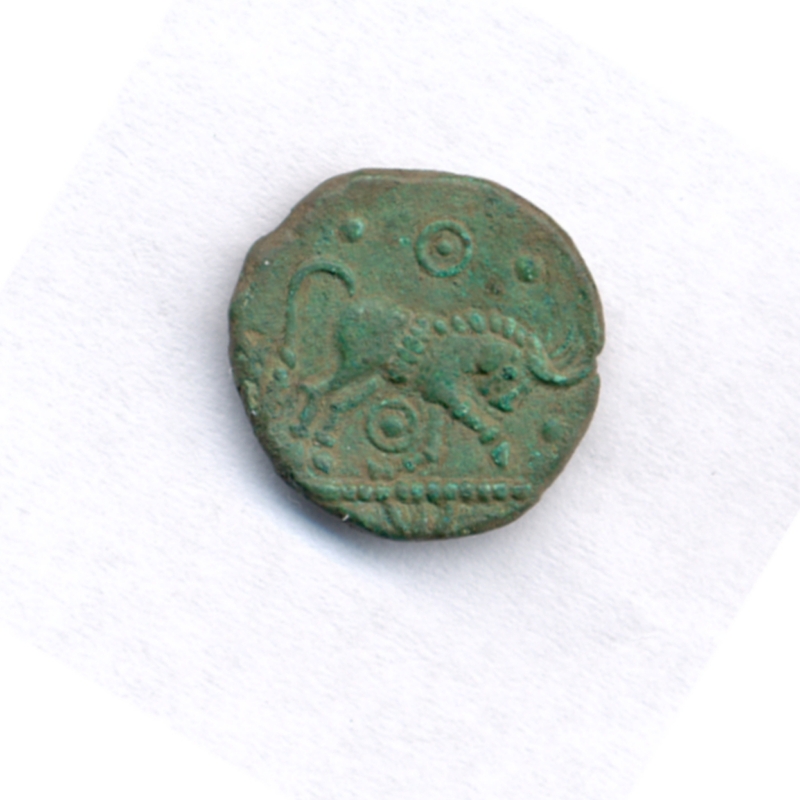 However, although there is a considerable variation in wear on the Iron Age coin assemblage as a whole, the majority of pieces seem to have been either fairly or extremely well circulated. This certainly contrasts with the temple deposits from Harlow in Essex, where the excavators concluded that 'a lot of the bronze coins were recovered in mint condition and must have been offered directly to the deities' (France and Gobel 1985, 137). The conclusion must therefore be that most Iron Age coins from Heybridge were well circulated, rather than lost or deposited soon after minting. Iron Age coins are notoriously difficult to date, because only a tiny fraction can be associated with known historical figures (for example, Cunobelin). Therefore typological sequences, which are usually regional, have had to be developed by looking at stylistic changes (for instance, the simplification of the Apollo head from which much of British coinage was copied), the copying of dated Roman prototypes and links with imported Gallic types. It is in the last area of study where great strides have been made in recent years through the work of Malacher and Collis (1992) and more recently Haselgrove (1999), who have achieved a degree of success in examining Gallic coins in stratified contexts on a number of excavated sites in France. For the purposes of dating the Heybridge material, a phasing scheme based upon Haselgrove (1987; 1993; 1999) has been used (Table 52). All date phases are approximate to the nearest ±10 years. 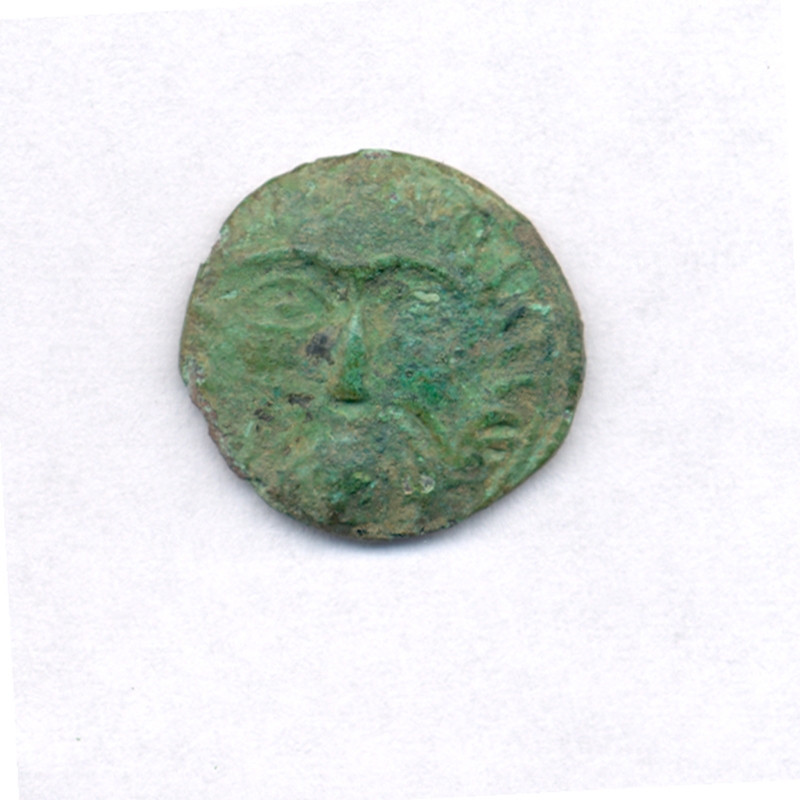 Each coin in the catalogue has been placed in a relevant dating period, although some coins have had to be placed in two or three dating periods, simply because there is too little evidence for their likely date of production. In Phase III, issues of Cunobelin can be divided into 'early' and 'late' (or 'developed') types (Haselgrove 1987). This division is based upon stylistic differences between issues that tend to copy the style of his predecessor, Tasciovanus, and issues that borrow heavily from Roman prototypes and tend to have a more 'classical' appearance, in combination with an examination of stratified finds from the Colchester excavations (Allen 1967; Haselgrove 1987, 94). It should also be noted that Haselgrove also includes a Phase 9, c. AD 30-45, for the latest indigenous productions, but as this has overlap with Phase 8 it is not included here. Over half the coins date to the latest period of indigenous coin production (Phase 8: c. AD 10-45). Phase 6 and 7 account for at least 20% of the rest of the coinage, because of the fairly high number of uninscribed struck bronzes (some of which may have been produced as late as Phase 7), and the Class II potin coins. Of the earlier Phase 1 to 5, the highest number of coins date to Phase 3 (3.2% or 5.1%), entirely due to the presence of five, or possibly eight, Class I potin coins. However, it could well be the case that some or all of these Period 3 coins ought to be placed in Phase 4 (c. 80-60 BC), and the apparent gap at this period (which appears to have no pieces ascribed to it) should not be seen as significant. 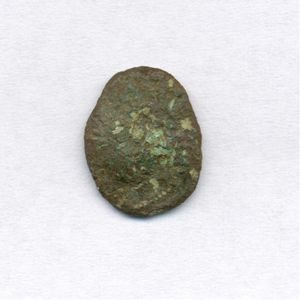 Thus the bulk of the Iron Age coinage found at Heybridge was produced in the early part of the 1st century AD, probably before the Roman conquest. Earlier pieces are present in the assemblage but are far fewer in number. Only twenty-five Iron Age coins at Heybridge were stratified (strictly speaking, No. 112 (SF1389) comes from a machined layer (8166), but it seems likely that this is certainly no later than early to mid-1st century AD). Of the remainder, 110 coins were metal-detected during topsoil stripping, and seventeen were found unstratified. 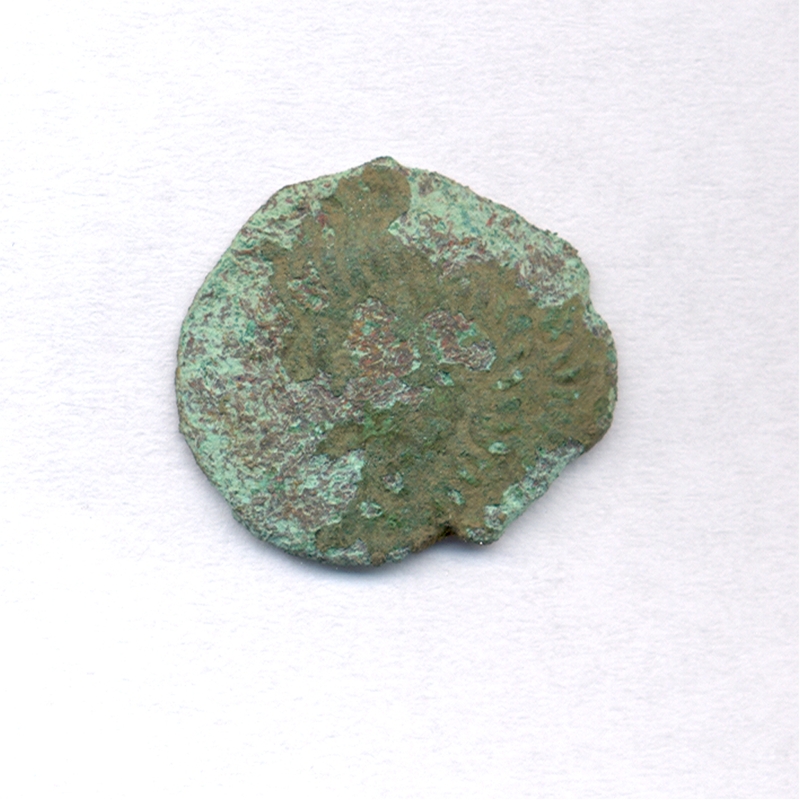 It should also be noted that eighteen further unstratified coins were recovered by metal-detectorist Mick Cuddeford from the spoil heaps generated during subsequent topsoil stripping (Area X in the catalogue). The twenty-five stratified coins and their contextual details are presented in Table 54. In the comments column, 'contemporaneous' is used to denote coins with a date of issue that corresponds well with the phasing of the feature. 'Slightly residual' is used when there is an overlap between the coin period and the site phase. 'Residual' denotes that the context date is one phase later than the likely date of manufacture and 'highly residual' when the coin is in a context dated to two or more phases later. Thirteen coins (52%) can be classed as contemporaneous or slightly residual and twelve coins (48%) as residual or highly residual. 119	 G	 7181	 313	 8 (L)	 2B	 Mid-late 1st AD	 Slightly residual/ contemporaneous? 135	 I	 13645	 599	 8 (L)	 3	 Mid-1st-early 2nd AD	 Slightly residual? 124	 J	 21789	 375	 8 (L)	 3	 ?Roman	 Slightly residual? 8	 H	 6875	 63	 3? 2A	 Late 1st BC-early 1st AD	 Residual? 7	 F	 10172	 356	 3? 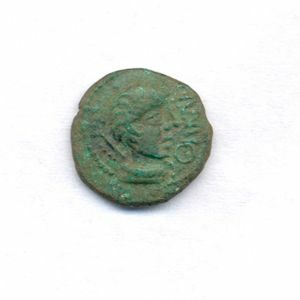 3	 Early Roman	 Highly residual? All but two of this group of thirteen coins (No. 18, SF6841; No. 11, SF2220) are issues of Cunobelin, which would therefore appear to have been lost or deposited soon after issue, as Cunobelin was theoretically still minting coinage as late as the AD 40s. 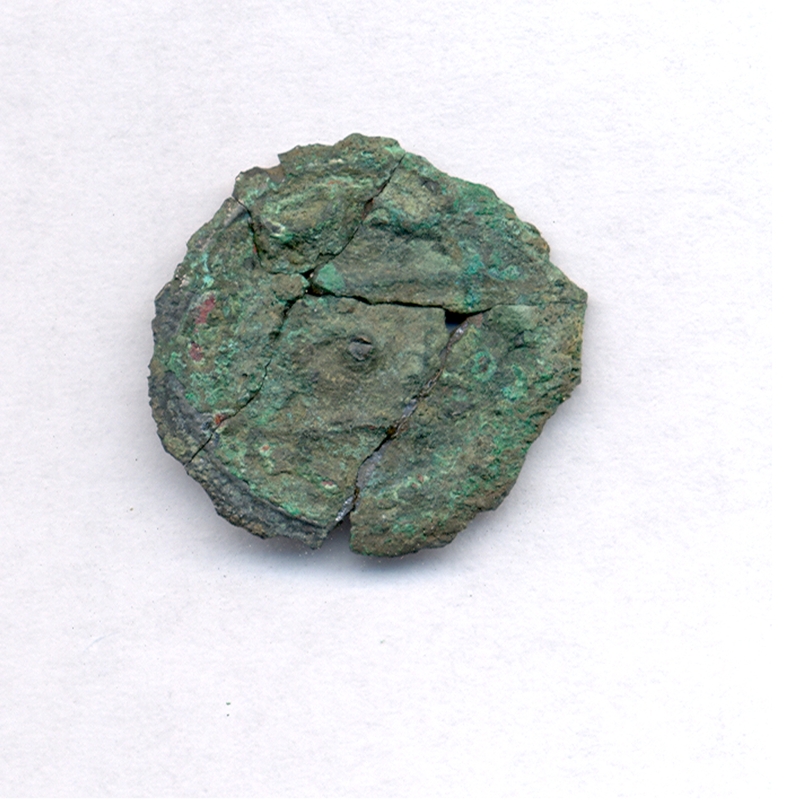 Three coins provide useful dating evidence for the features in which they were found. Number 18 (SF6841), a fragment of a Class II potin coin, helps to date ditch 8208 (Group 7) to the Late Iron Age (the feature also contained late 1st century BC pottery), although this coin could still be residual if the feature dates to the immediate pre-conquest period (AD 10-45). Number 74 (SF1171) appears to confirm the stratigraphic evidence that pit 14037 (Group 2028) dates to the early to mid-1st century AD. 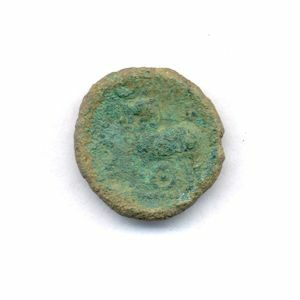 A bronze coin of Cunobelin (No. 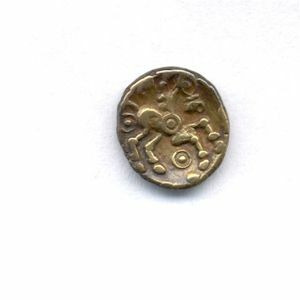 112, SF1389), was in a mid-1st century AD layer (8166, Group 2089, Area E) together with a Colchester BB brooch dating to AD 65-80. It is difficult to draw any firm conclusions about this group as a whole. 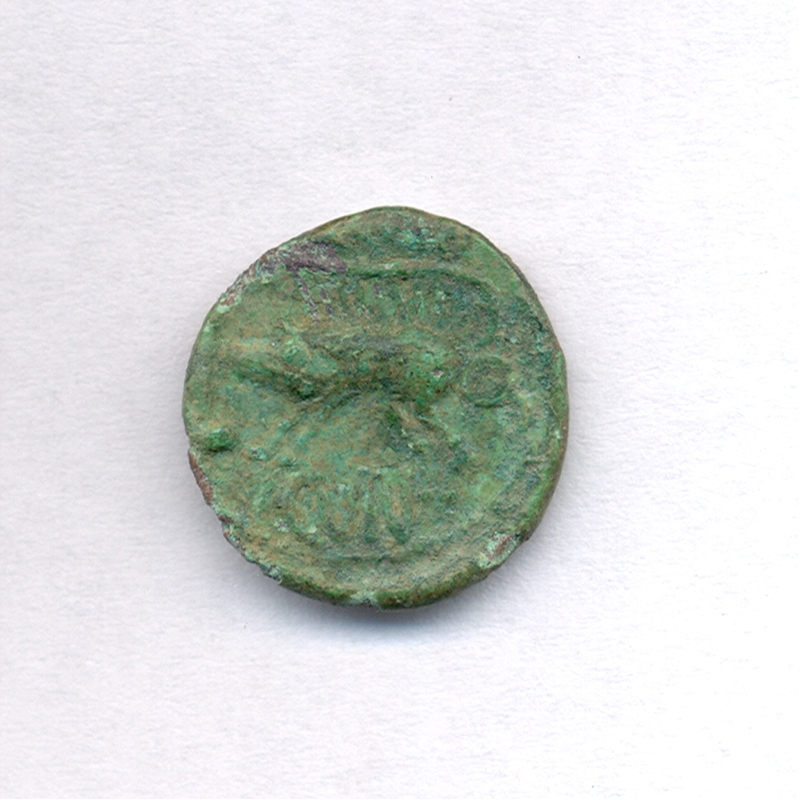 A common feature is that these coins are all copper alloy with no intrinsic value. It is likely that they represent contemporary casual loss during day-to-day use. Equally, given the low value of the coinage, deliberate discard cannot be discounted, especially in a situation where a new coinage was coming in to use alongside the theoretical cessation of indigenous coin production. 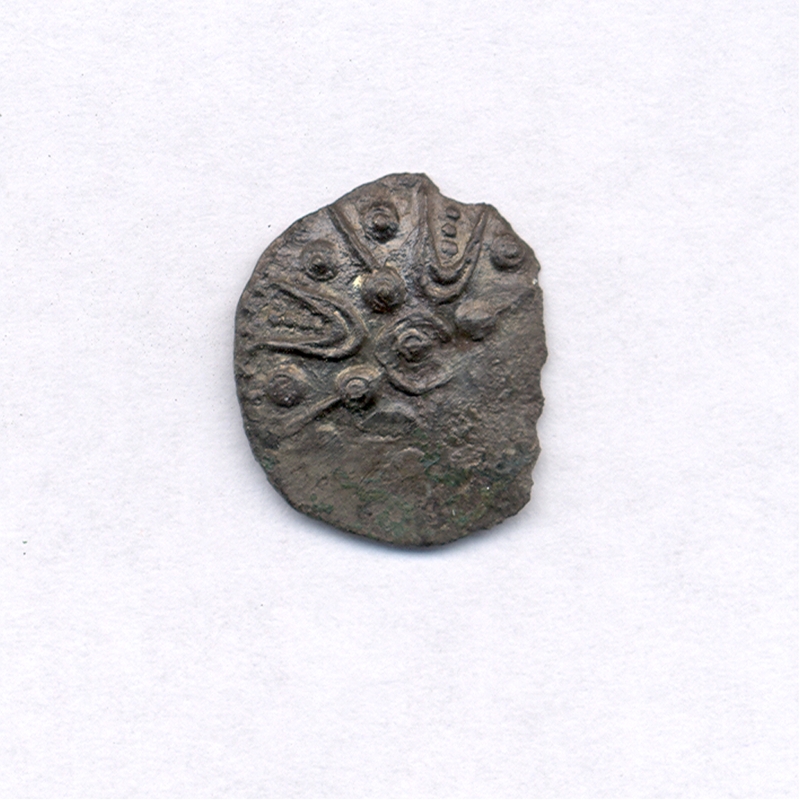 Copper-alloy denominations must have been able to be changed for higher value silver coinage, otherwise a tri-metallic coinage system cannot have functioned. Therefore, if it no longer became possible to exchange copper coinage for intrinsically valuable pieces, the deliberate discard of these coins would become entirely reasonable. 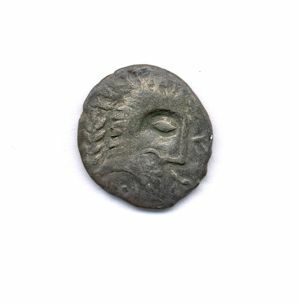 As for the twelve coins which can be classed as residual or highly residual, these can be categorised as follows: The first group consist of three Phase 6 (c. 50-20 BC) coins in early to mid-1st century AD contexts, four Class I (Phase 3) potins in late 1st century BC to mid-1st century AD contexts, and one Gallic inscribed AE coin (Phase 3/4) in a mid-1st century AD or later context. 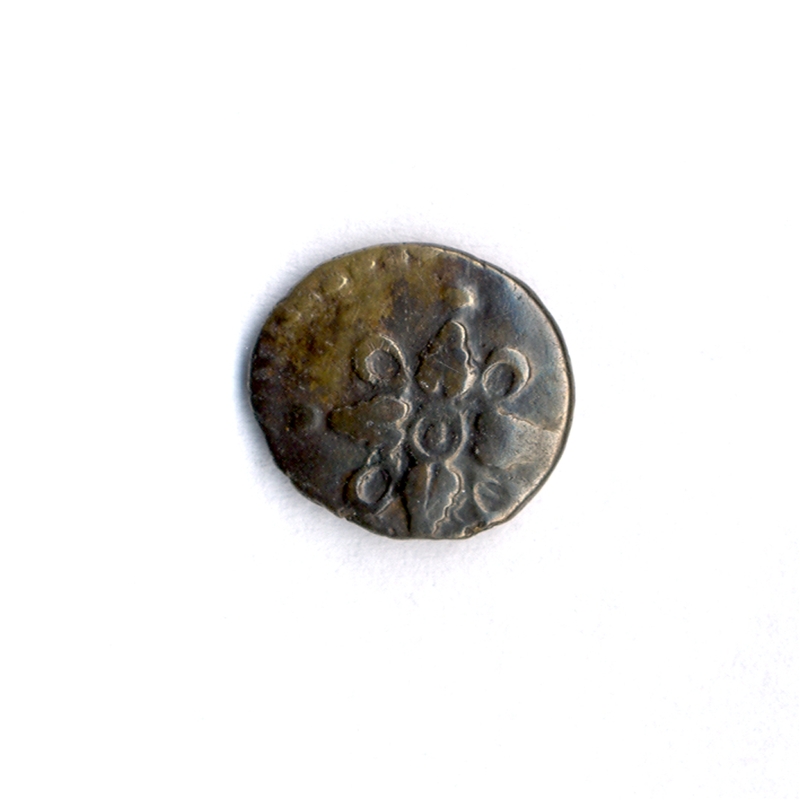 All these coins may still have been circulating as some form of currency in the period in which they were subsequently lost, given that this was still pre-conquest. 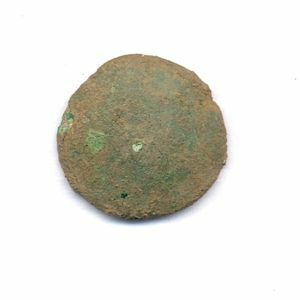 It is simply unknown if earlier issues of copper-alloy coins were withdrawn from circulation as new power structures emerged - did Cunobelin allow the early uninscribed issues to continue to be used? 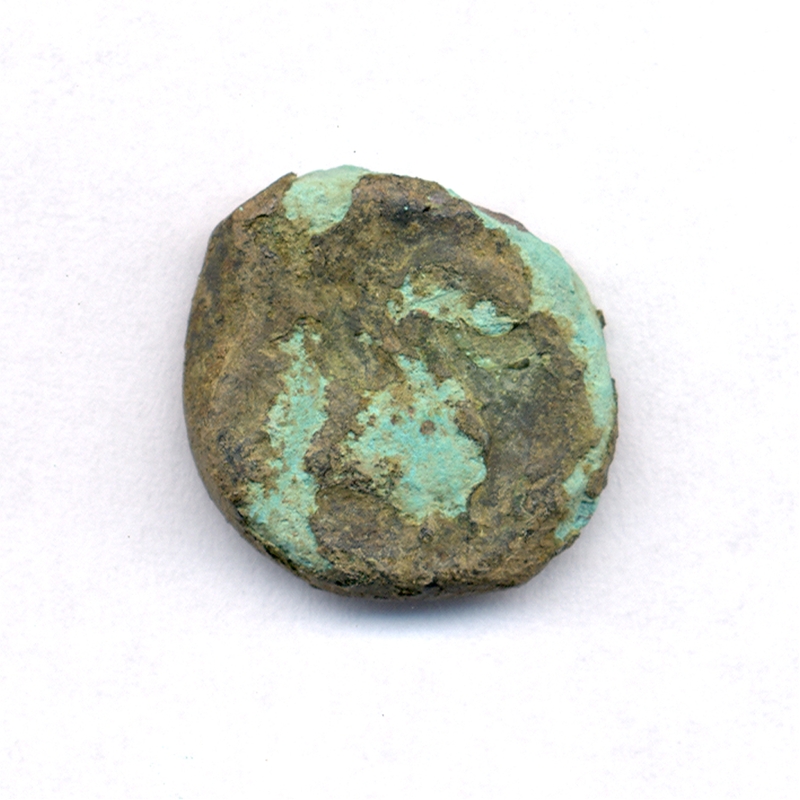 Potin coins may have been slightly different, if they were a special function coinage (Haselgrove 1988a); there is no evidence to suggest that they were part of the tri-metallic system that seems to have existed (i.e. gold staters and quarters, silver units, and three copper-alloy modules; discussed further in Hobbs 1996, 21). So, it may be the case that they were actually lost, as opposed to redeposited, because they still had some kind of function a few decades after their date of production. The rest of the coins in Table 54 (Nos 46, 140, 75, 2, 117) were apparently lost during the post-conquest period, and therefore must have been redeposited from disturbed contexts, which is not unreasonable as there seems to have been much disturbance generally on the site as a whole. 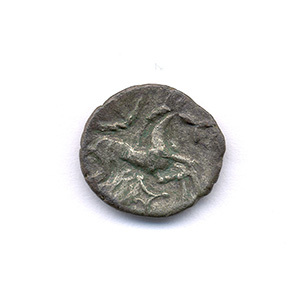 In any case, it is known from potin coins excavated from floor deposits at Canterbury and Braughing that they continued to circulate in the post-conquest period (Haselgrove 1988a, 103), and potins are also known from late Roman burials at Kelvedon, Essex (Rodwell 1988). The spatial distribution of Late Iron Age coins by area is summarised in Table 55. The majority of coins, excluding those detected from the off-site spoil heaps by Mick Cuddeford (Area X), came from Areas A2 (35%) and A1 (9%), that is the main excavation area. 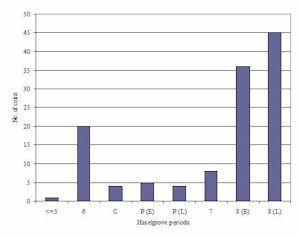 These resulted from detecting undertaken in parallel with the machine stripping of topsoil across the 1994 investigations and many may well have derived from Areas D to P that were subsequently sampled by excavation. The impression given by this distribution pattern is that the earliest areas of high coin loss, and perhaps by implication more intensive occupation, were on the southern and eastern parts of the 1994 site. 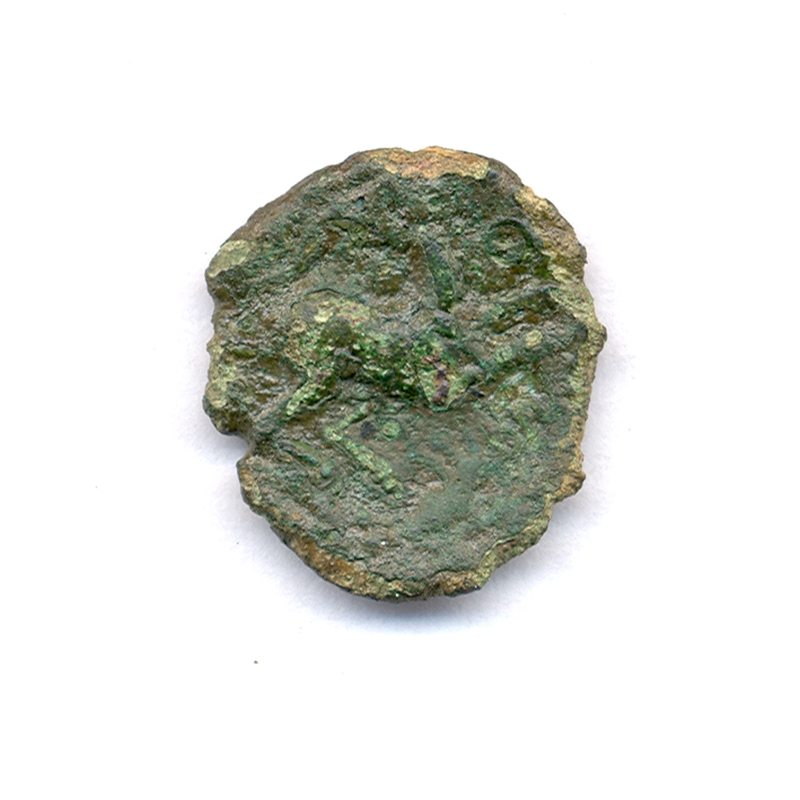 However, these were also the least stratified parts of the site and it remains a strong possibility that the lack of overlying Roman surfaces and layers may have allowed a greater rate of detection and recovery of early coinage across much of Area A2. The apparent disparity between A1 and A2 may have been further exaggerated by the more rigorous coverage and location of detected finds being adopted across the latter area (S. Preston, pers. comm.). In addition, Area A3 was subject to a much reduced metal-detector survey, being an area that was not subsequently excavated. Although only a small sample, the fifty coins derived from the specific excavated areas (i.e. Areas D to R and W) may be a more reliable indicator of the relative distribution for the Late Iron Age as a whole. Although the varying quantities are not great, a broad spread may be discerned, diminishing toward the settlement peripheries. While this small sample cannot be used to define temporal variation within the spatial distribution, it may well show that the focus, at least of the 1st-century AD settlement, was in and around the central settlement zone and extended across the southern zone. 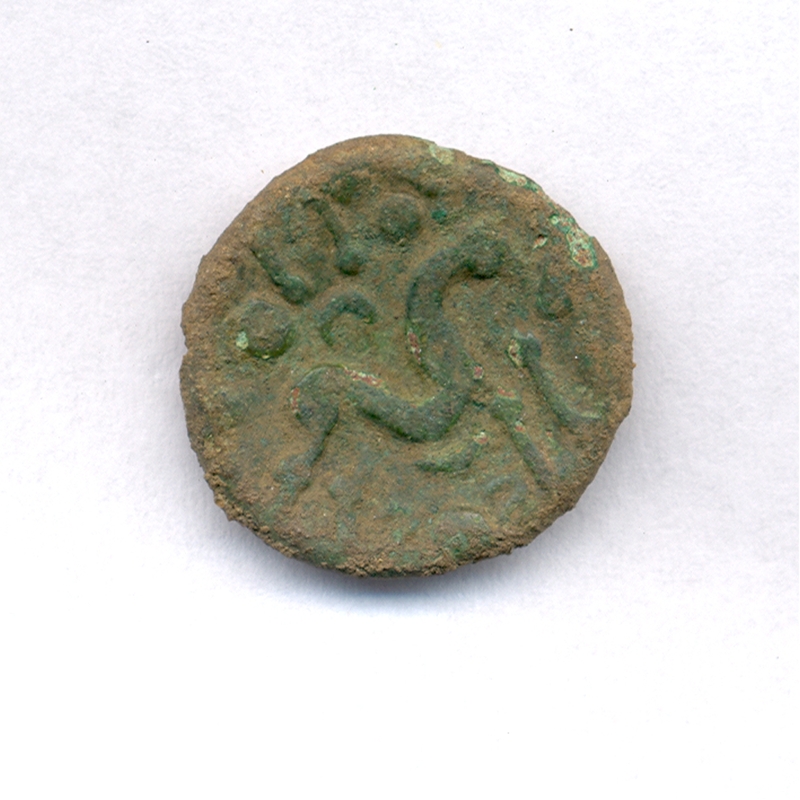 A high percentage of Late Iron Age coinage was therefore being lost in 'domestic' occupation areas. Loss within more 'public' areas, such as the religious focus of the temple, did not differ significantly. Thus, deliberate deposition of Iron Age coins does not appear to have been a feature of this religious area, unlike others (e.g. Harlow Temple and Hayling Island). 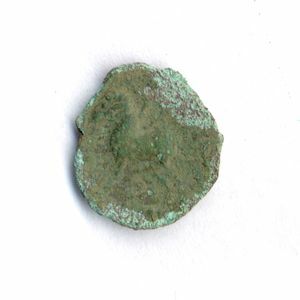 This pattern of fairly uniform loss across much of the settlement area also implies that by the mid-1st century AD, coins were being used by the settlement population in general for economic transactions. Following Haselgrove (1987), an Iron Age coin profile for Heybridge has been constructed using 123 coins from the site (i.e. excluding those coins for which there is too much uncertainty over date) (Table 56 and Figure 359). 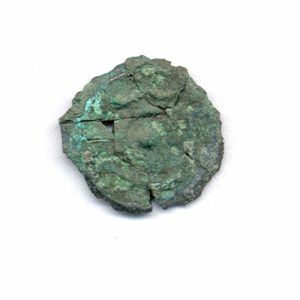 While Haselgrove's approach is based upon methods advanced by Roman numismatists (particularly Reece and Casey), and is somewhat less successful, as comparable assemblages are limited and the dating of Iron Age coinage is far more problematic than Roman material, it is nevertheless a worthwhile exercise. It is clear that there is a peak at Phase 6 (see also Table 53) and a major peak at Phase 8 (both 'early' and 'late'). 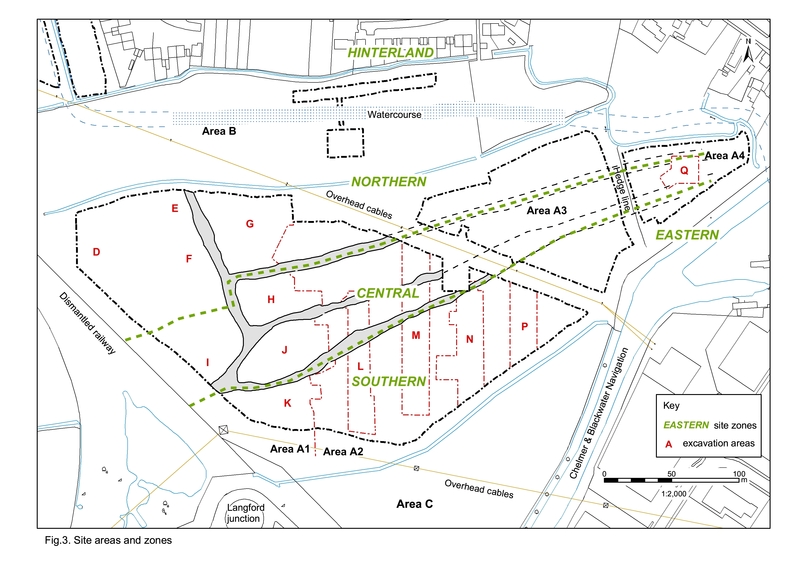 This pattern of loss can be compared with Haselgrove's major and minor site profiles for the Essex-Suffolk coast (1993, 56, fig. 5a). For Phases 7 and 8 (both early and late), Heybridge compares very well with the major sites (e.g. Camulodunum), with a slightly higher than average proportion of 'Early' 8 coins. 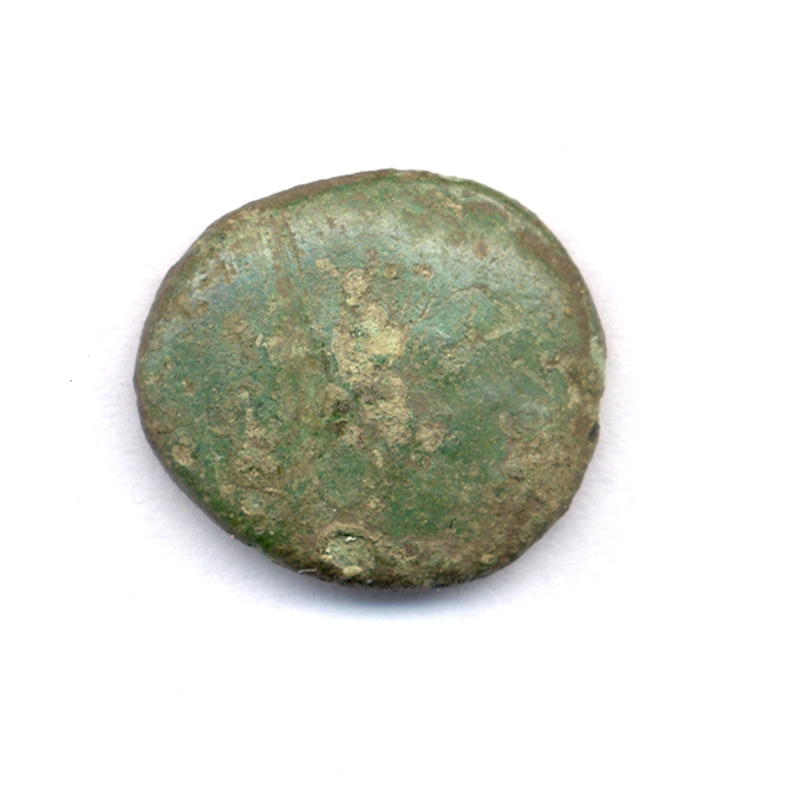 For the earlier phases, Heybridge is rather different to the norm; it has potin coins of both classes (I and II), whilst other major settlements do not; and it seems to have a higher proportion of coins of Phase 6, largely uninscribed early bronze coins. This pattern in general seems to correspond with Haselgrove's interpretation of evidence from major sites (1993, 57), where he suggests that the high incidence of struck bronze implies a high frequency of transactions. It might be suggested that at Heybridge, given its high number of coins of Phase 6, this activity seems to have had a longer history than other major sites of the Essex-Suffolk coast. Haselgrove also suggests that bronze coins were released into circulation at the major nucleations first, only gradually filtering out to the rural sites, which Haselgrove believes accounts for the later emphasis (i.e. higher numbers of coins of Phase 8). Heybridge once more seems to fit this model, and may tie in with the fact that Cunobelin's bronzes are so uniformly the 'CAM/CVN' variety; if Heybridge was a place where coinage ended up having gone through a number of hands, would we not expect to see less uniformity in the types? Equally, it could be argued that if Heybridge is a major centre, why does it not have a higher proportion of types? 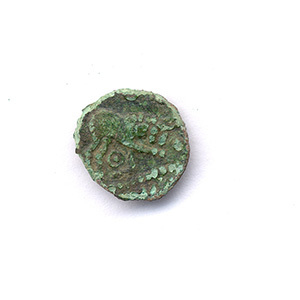 However, it should not be forgotten that Heybridge has only produced 155 Iron Age coins, which amounts to a very low number of coins in relation to the area excavated. Unfortunately, there is far too little comparable evidence for any firm conclusions to be drawn. The Iron Age coins account for approximately 5% of the total number of coins recovered at Heybridge. Consideration of both the relative proportion and of the overlap of Iron Age and Roman coinage is not particularly productive due to the lack of reliable comparable data; Reece's assembled coin profile data (1991, 1) do not consistently indicate which percentage of the coins recorded were Iron Age; sometimes Iron Age coins were included in Reece's phase 1, other times they were not (R. Reece, pers. comm.). The question of whether some of the Iron Age coins found in early Roman contexts continued in circulation until this date, or are simply residual, clearly needs more research. Table 54 has identified the most likely candidates for such research (i.e. those considered 'slightly residual' - Nos 71, 124 and 135). However, with only three examples this dataset is clearly too small to define any trends when used in isolation. The full catalogue forms part of the research archive. Abbreviations: AV - gold; AR - silver; AE - copper alloy; SN - tin. For catalogue abbreviations (e.g. 'BIAC') please see the full catalogue. Figure 360: AV Stater, Gallo-Belgic B, Scheers Class II, obv. Figure 361: AV Stater, Gallo-Belgic B, Scheers Class II, rev. Figure 362: AE/SN Potin, Class I, cf. BIAC 670, obv. Figure 363: AE/SN Potin, Class I, cf. BIAC 670, rev. Figure 364: AR Unit, new type, obv. Figure 365: AR Unit, new type, rev. Figure 367: AR Unit, Remi, Scheers 634, rev. Figure 368: AV/AE Core of stater, Gallo-Belgic E, obv. Figure 369: AV/AE Core of stater, Gallo-Belgic E, rev. Figure 370: AV/AE Core of stater, Gallo-Belgic E, obv. Figure 371: AV/AE Core of stater, Gallo-Belgic E, rev. Figure 372: AE/SN Potin, Class II, cf. BIAC 715, obv. Figure 373: AE/SN Potin, Class II, cf. BIAC 715, rev. Figure 374: AR Unit, East Anglia, obv. Figure 375: AR Unit, East Anglia, rev. 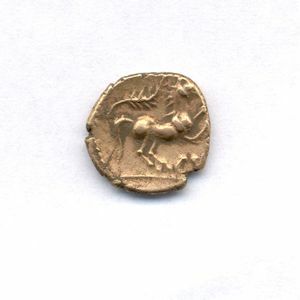 Figure 376: AV Quarter stater, ?Addedomaros, BIAC 2417, obv. Figure 377: AV Quarter stater, ?Addedomaros, BIAC 2417, rev. Figure 378: AV Quarter stater, ?Addedomaros, BIAC 2417, obv. Figure 379: AV Quarter stater, ?Addedomaros, BIAC 2417, rev. Figure 380: AE Unit, Dubnovellaunus, BIAC 2445, obv. Figure 381: AE Unit, Dubnovellaunus, BIAC 2445, rev. 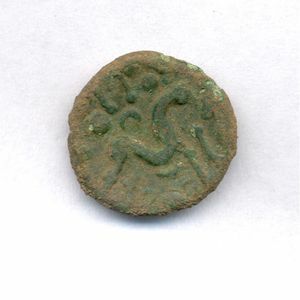 Figure 382: AE Unit, Tasciovanus, BIAC 1711, obv. 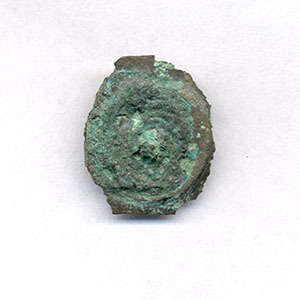 Figure 383: AE Unit, Tasciovanus, BIAC 1711, rev. Figure 384: AE Unit, Tasciovanus, CCI 72.0332, obv. Figure 385: AE Unit, Tasciovanus, CCI 72.0332, rev. Figure 386: AE Unit, obv. Figure 387: AE Unit, rev. 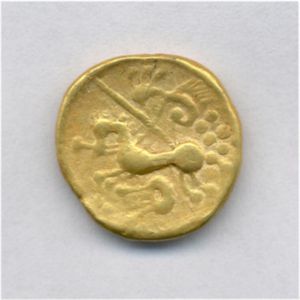 Figure 388: AV Quarter stater, Cunobelin, cf. BIAC 1843, obv. 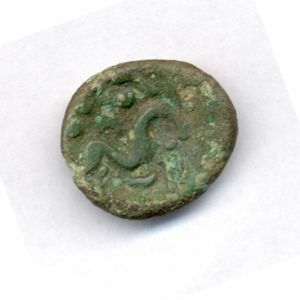 Figure 389: AV Quarter stater, Cunobelin, cf. BIAC 1843, rev. Figure 390: AE Unit, Cunobelin, CCI 96.1074, obv. Figure 391: AE Unit, Cunobelin, CCI 96.1074, rev. Figure 392: AE Unit, Cunobelin, BIAC 1904, obv. Figure 393: AE Unit, Cunobelin, BIAC 1904, rev. Figure 394: AE Unit, Cunobelin, CCI 96.3165, obv. Figure 395: AE Unit, Cunobelin, CCI 96.3165, rev. Figure 396: AE Unit, Cunobelin, CCI 96.3165, obv. Figure 397: AE Unit, Cunobelin, CCI 96.3165, rev. Figure 398: AE Unit, Cunobelin, CCI 96.3165, obv. Figure 399: AE Unit, Cunobelin, CCI 96.3165, rev. Figure 400: AE Unit, Cunobelin, BIAC 1987, obv. Figure 401: AE Unit, Cunobelin, BIAC 1987, rev.